Izzy is the newest member to our family. 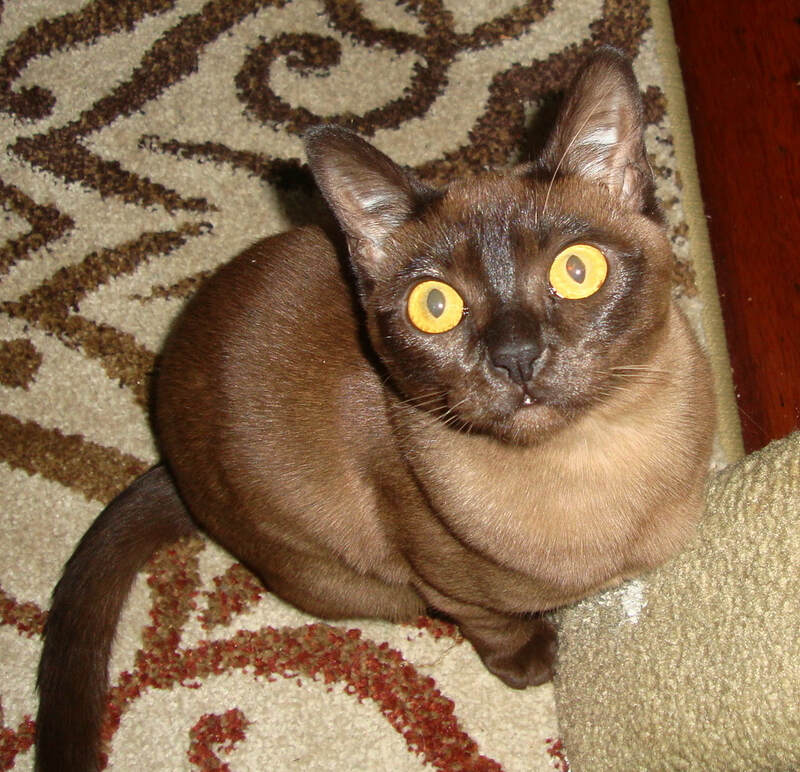 With her Tonkinese grandparent and selective burmese breeding, she has a 0% inbreeding coefficient. She will greatly add to the genetic diversity of our breeding program. The Cat Fancier's Association permits breeding of burmese to tonkinese in order to add genetic diversity back into our gene pool. The tonkinese were originally created by breeding siamese to burmese. Hazel is Amaretto's daughter. Mama Amaretto will be spayed this year - Hazel will be taking her place in our breeding program.